Not a Real Gun VR Controller . . .
A CLAZER shooter ordered one of these, only to discover to his dismay that his VR shotgun now shoots straight up ! 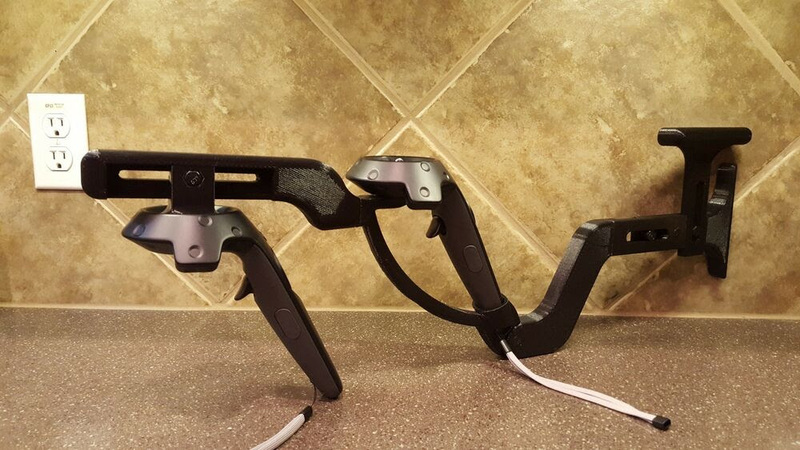 Meanwhile back at the ranch, beta testing of our real gun VR controller continues . . .
Cheek rest has height adjustment. Second controller doesn’t have to be screwed in. Second controller can be free but used to brace the front mount to stabilize it. 3d printed fromPLA Pro filament. | eBay!